Timothy July has a secret. And it's giving him nightmares. Abigail Tremens has a problem. Her nightmares are haunting her . . . while she is awake. When they team up for a school project, they don't realize that Abigail's past and Timothy's present are making them the target of a terrible curse. A curse that turns their worst fears to reality. But their fears are just the beginning. The curse stems from a strange artifact that gains strength by devouring a human soul. And it needs to feed again. Dan Poblocki has honed his storytelling skills, as every page is filled with chills and thrills in this, his fast-paced second novel. 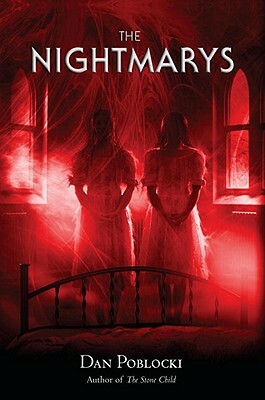 The Nightmarys will have his readers mesmerized until the last page . . . and then sleeping with the lights on. Beginning in fifth grade, DAN POBLOCKI would gather his friends after school, frightening them with tales of ghosts, monsters, and spooky places. When his mother began to receive phone calls from neighborhood parents, warning that her son's stories were giving their children nightmares, Dan decided to write the stories down instead. Dan now battles his own neighborhood monsters in Brooklyn, NY.